It’s Thursday, and I’m feeling pretty fantastic. Not 100% better, but pretty fab nonetheless. -Getting dressed! I actually felt well enough yesterday to wear something other than P.Js. 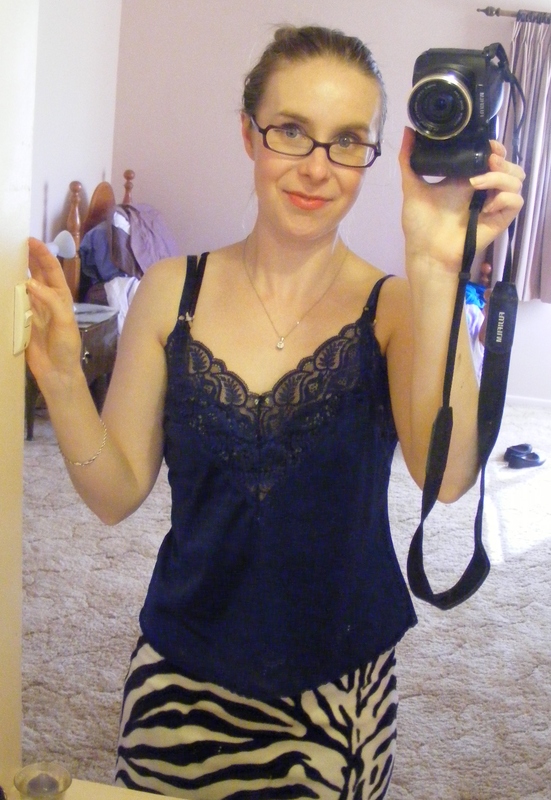 I decided to wear this lovely blue camisole that I got from the op-shop a couple of weeks back. It was the perfect transition from nightwear to daywear. – Changing the sheets on my bed the morning before I began to feel ill, so when I fell into bed that night, sniffling and shivering, I had clean sheets to wrap up in. – Revisiting the Harry Potter movies before Halloween. – Being able to taste things again. 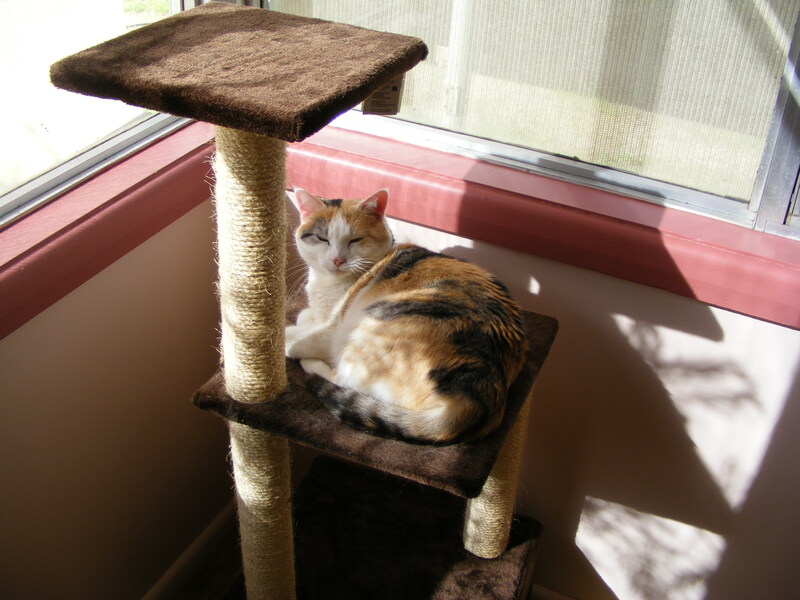 -Jelly enjoying the sunshine from the comfort of her cat apartment. – Reading a book called Lopsided by Meredith Norton, a memoir of a breast cancer survivor. I can honestly say that I never thought that I would laugh so hard at a book about cancer. Meredith writes so frankly and manages to inject humour and life into even the most dire chapters. I found myself roaring with laugher one moment and welling up with tears the next. I can’t recommend this book highly enough. – Signing up for yoga classes, even though I’m so self-conscious and the idea of doing yoga in front of a room of people terrifies me. – Getting all of my mending and tailoring finished while I was lying sick on the couch. Now I’ve got a pile of new, perfectly-fitting clothes to wear. – My nana finally being allowed to come home from hospital. It’s such a relief to have her home. – Breaking Bad. I finally got around to watching the very first episode and I really enjoyed it. I can’t wait to check out some more. What’s on your love-list this fine Thursday? Leave a comment with your own Things I Love Thursday list or send me a link to your own post. So many of these things are loves of mine as well. I was struck by that you mentioned how you liked having clean sheets to fall into when you feeling ill. I always like to try and make a point of changing my sheets before I go in for surgery or a stay in the hospital, or if we’re going out of town, so that they’ll be as clean as clean can be when I get home. One less thing (needing to change the bed linens) to worry about it. I really hope you’re starting to feel a bit better, sweet Vanessa. A bed made with fresh, clean sheets is just one of life’s little luxuries, isn’t it? It also brings to mind memories from when I was little and I’d get sick during the winter. My mother would run me a bath and while I was soaking she’d get a fresh towel and warm it up by the fire. Then she’d bring it down to the bathroom and wrap me up in it when my bath was over. It’s such a small gesture, but it was heavenly. I’m feeling loads better this week, thanks! 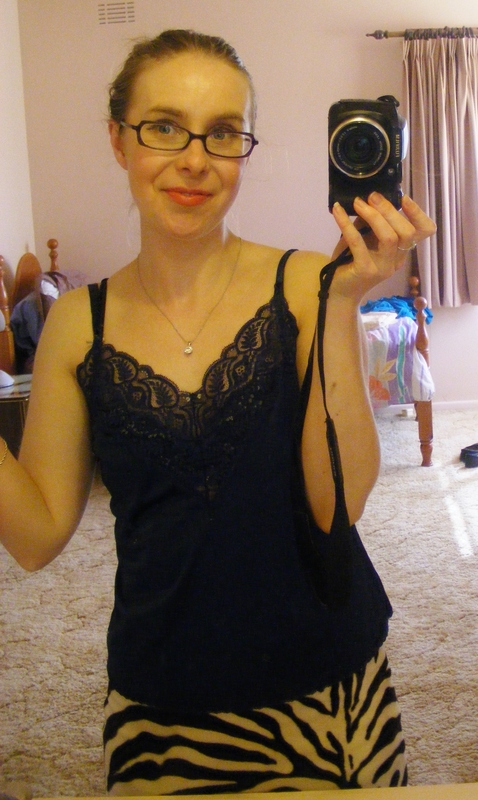 Would you believe I got this camisole for just fifty cents? It’s a little big for me, but I adore the colour and I think it looks a bit more relaxed and devil-may-care this way. 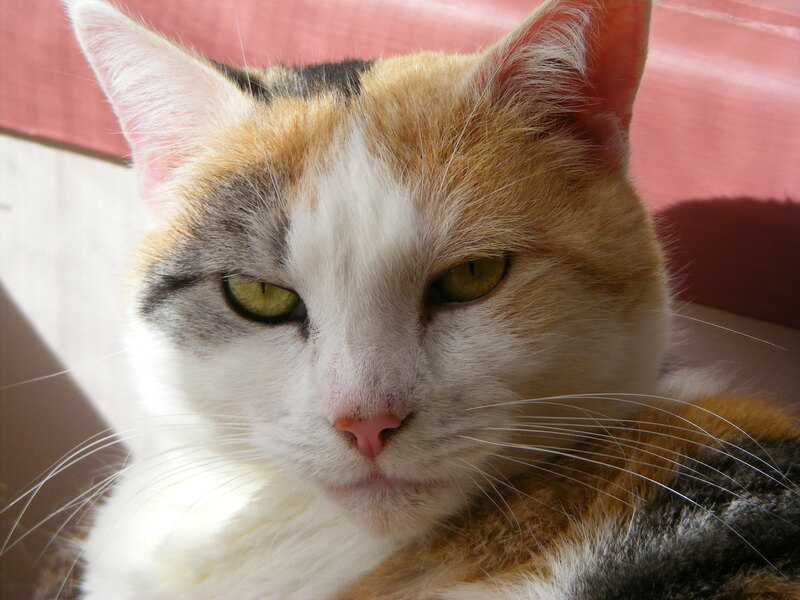 Jelly has certainly been enjoying the sunshine. Daylight savings began last weekend, and she’s been basking in every extra ray of sunshine. Today I loved a visit from a friend who has bought me a 60s day dress when she was op shopping! I loved the pictures you posted of your special dress. What a great gift! I can’t wait to see how you style it.